Log In For Great Trade Discounts! 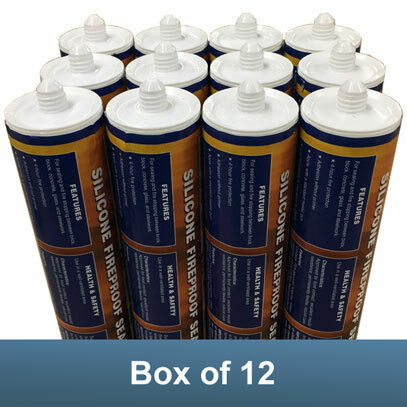 Supplied as a one-part, ready-to-use, flexible, halogen free Silicone sealant, which reacts with atmospheric moisture to form a durable, flexible seal. Neutral curing system; almost odourless. Compatible with water based and solvent based paints, no plasticizer migration. Non-corrosive to metals. Primerless adhesion to most materials. Can withstand movement of +/- 20% in constant service throughout a wide temperature range. High performance sealant for most glazing, sealing, bonding, repairing tasks. For use at joints between many building elements and materials giving a water and gas tight seal. Supplied in 310 ml tubes and suitable for alkaline substrates, such as concrete, mortar and fibre cement. Shelf life of 18 months if stored in tightly closed containers at temperatures not exceeding 25°C. Skin forming time at 23°C / 50% rel. humidity: 15-30 minutes. Shrinkage on cure ISO 7 390, Profile U 20 non-sag. This product was used in a number of fire resistance tests employing the general procedures and criteria or BS476: Part 22: 1987. It was used for sealing around a number of penetrations and expansion joints. Integrity ratings of up to 240 minutes were achieved. This silicone sealant product can be used on heating stoves but it MUST NOT BE USED NEAR NAKED FLAMES OR HOT GASES as this can cause the silicone to have a VERY SMALL BLUE FLAME & the silicone can turn to a powder. Envirograf® Silicone Sealant has been tested in fire furnaces for up to 4 hours and 1200°C, where joints in walls are sealed and any vapours burn off in the furnace to leave the fireproof seal. 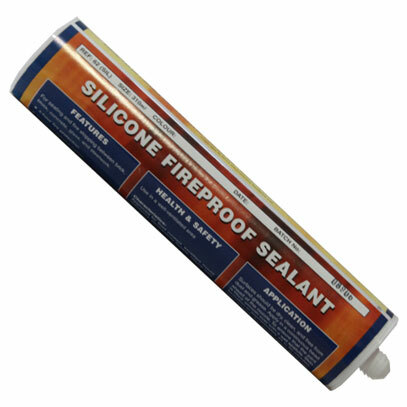 When sealing in situations, which normally have adjacent flames, it is absolutely essential that you allow 3 days WITHOUT FLAMES, for every 1-2 mm of Silicone Sealant installed, in order to set the silicone into its fireproof state. For example, 5-6 mm of Silicone Sealant installed would require 4-5 days for the silicone to set. DO NOT allow flames in the vicinity of setting silicone. Or if you have any questions, please call our experts on 01494 482044.